USPA NEWS - LEONIDAS is all about : Love To Give. You can buy Traditionally Made, Affordably Priced Pralines to give a Moment of Chocolate Happiness to the People you love. A birthday Party, a Dinner with Friends, a Romantic Evening or a Heartfelt Thank you... Leonidas celebrates All Those Happy Occasions with You, your Family, Friends, Relations and Colleagues. LEONIDAS is all about : Love To Give. You can buy Traditionally Made, Affordably Priced Pralines to give a Moment of Chocolate Happiness to the People you love. A birthday Party, a Dinner with Friends, a Romantic Evening or a Heartfelt Thank you... Leonidas celebrates All Those Happy Occasions with You, your Family, Friends, Relations and Colleagues. 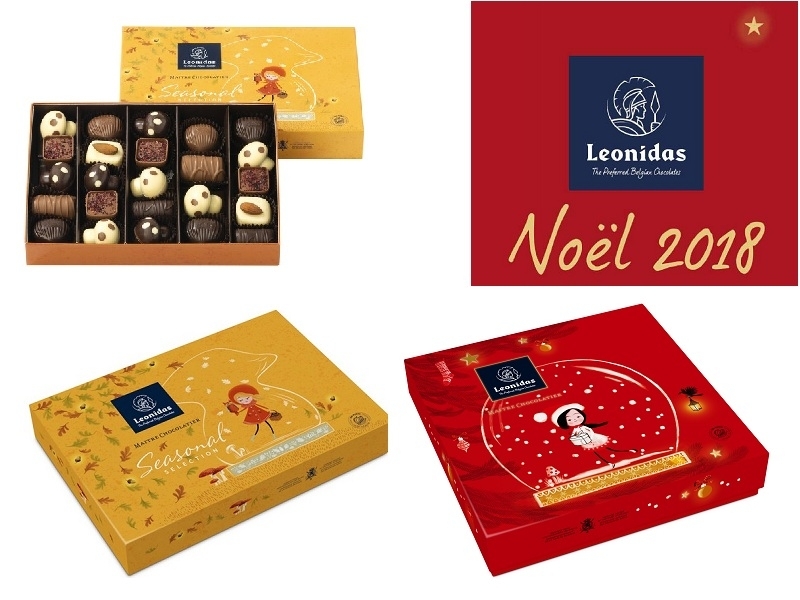 Since 1913, Leonidas followed One Mission : to make the Most Delicious, Best-Quality Pralines accessible to Everyone. Today, you can buy their Belgian Chocolate in over 1300 Shops Worldwide. More than 100 Different Kinds of Pralines, all made from Chocolate with 100% Pure Cocoa Butter. Brussels is considered the “Chocolate Capital Of The World” because it is Home to more Chocolate Factories than any other City on Earth. The Well-Known Chocolate Makers of Brussels have worked at their Trade for Over a Century. Cocoa Beans first entered Europe in the late 16th Century when Spanish Explorers brought them back from Mexico ; it took till 1635 before they reached Belgium. Belgian Chocolate started building its Impressive Reputation in the late 1800s when King Leopold II harvested Cocoa Crops in the Colonized African Congo. In 1920, Cappadocian Greek American Confectioner Leonidas Kestelides founded the Leonidas Chocolate Brand. He first came to Belgium to attend the Brussels Universal Exhibition at the Brussels World Fair of 1910 as a Member of the Greek Delegation from the United States. He presented his Chocolate at the Fair and won a Bronze Medal. In 1913, he opened a Tea Room in Ghent. In 1924, Leonidas opened "Pâtisserie Centrale", a Tea-Room on Rue Paul Delvaux in Brussels. His Successor Basilio opened his Own Workshop at 58 Boulevard Anspach ; Leonidas’ Business was growing rapidly in Size and Popularity.... Leonidas is Now One of the Biggest Chocolate Companies in the World. Belgian chocolate is Chocolate produced in Belgium. A Major Industry since the 19th Century, today it forms an Important Part of the Nation's Economy and Culture. The Raw Materials used in Chocolate Production do not originate in Belgium ; Most Cocoa is produced in Africa, central America, and south America. Nonetheless, the Country has an Association with the Product that dates to the Early 17th Century. The Industry expanded massively in the 19th Century, gaining an International Reputation and, together with the Swiss, became One of the Commodity's Most Important Producers in Europe. Although the Industry has been regulated by Law since 1894, there is No Universal Standard for the Chocolate to be labelled "Belgian". The Most Commonly Accepted Standard dictates that the Actual Production of the Chocolate must take place inside Belgium. 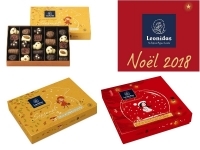 Source : Tasting Leonidas Chocolate Boxes : "Seasonal Selection" & "Christmas Selection"